Isn't this card adorable? An would you believe it if I told you it took about 2 minutes to make it. Yep, you heard me right!!! This is just one of the designs in the Soft Sayings All Inclusive Card Kit. Some are new to card making or simply don't have the space for tons of supplies. Or maybe picking colors just isn't your cup of tea. 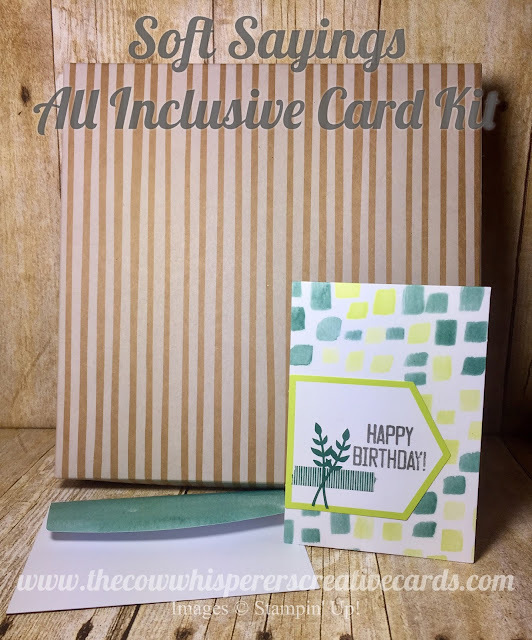 Well let me tell you, with this kit you receive everything to make 20 fabulous cards, including the instructions. 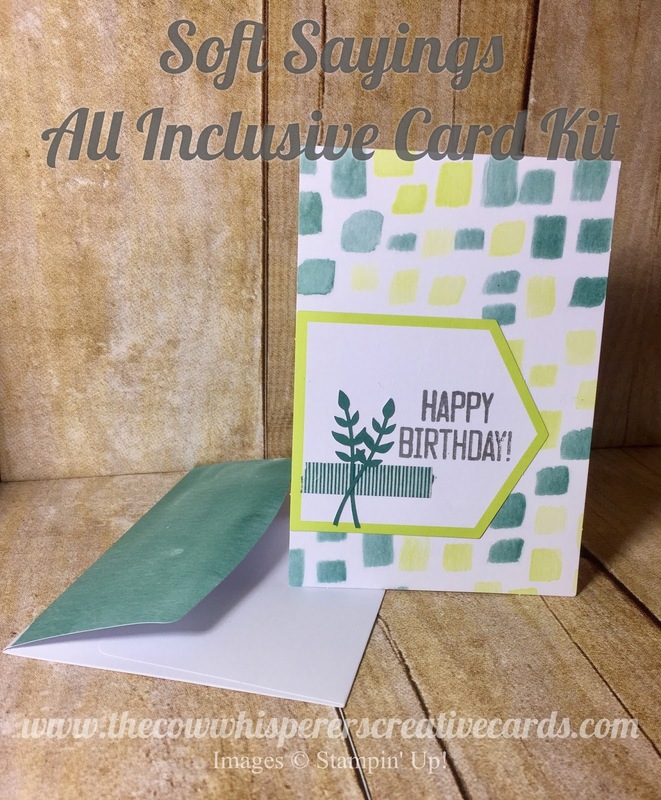 I know you want to make hand crafted cards and this kit is sure to get you going. 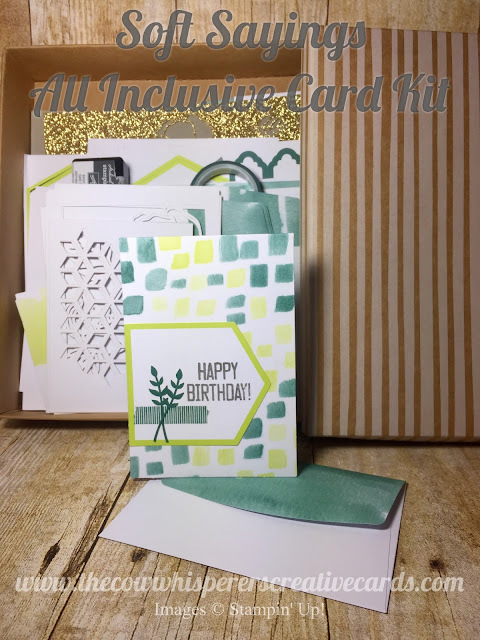 Card making is so fun and with this kit all you have to do is create and send. You can get started creating now by clicking on the kit links below to purchase from my online store. Happy Crafting!! !